I’ve been waiting for the start of the new season of Game of Thrones pretty much since the credits rolled after the season finale. We’ve been hearing that “winter is coming” since Season 1 and I have a feeling that the world beyond the wall may finally start to impact the goings on at King’s Landing. 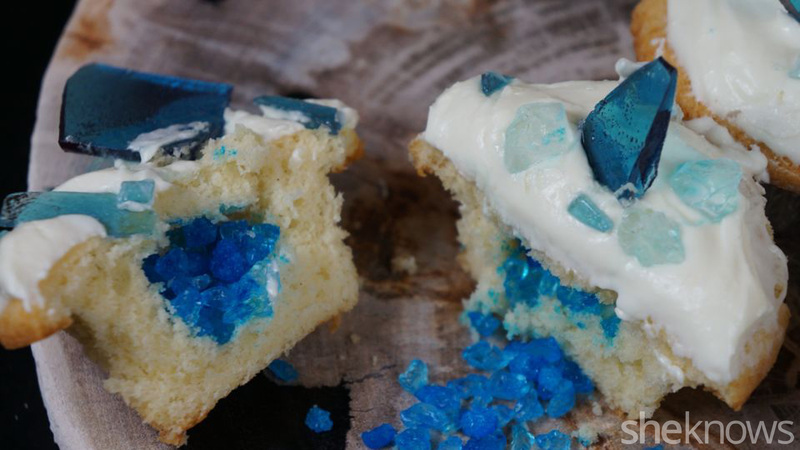 These cupcakes are decorated with blue candy that looks like shards of ice. Even if you’re not obsessed with Game of Thrones, you will still get a kick out of these cupcakes. They look way more complicated than they actually are, but you don’t have to tell your guests that! Making your own rock candy is totally worth it. I recommend flavoring it and coloring it boldly. This recipe will leave you with plenty of extra to snack on after you decorate and stuff the cupcakes. In a saucepan combine sugar, corn syrup and water. Stir the mixture just enough to combine, otherwise parts of it will cook faster than others, but don’t stir too vigorously or allow the sugar to splash up the sides of the pan. Bring the sugar to a boil; and keep a close eye on it once it starts bubbling. It’s really helpful to use a candy thermometer; the sugar will be ready to pour when it is between 275-300 degrees F.
Once the sugar reaches around 250 degrees F you can add extracts or flavoring. I used a few drops of peach extract and lemon oil for flavoring. Make sure the extracts you use are colorless (or lightly colored) so that they don’t conflict with the final blue color we’re going for. Add a few drops of blue food coloring. Stir the color through and make sure it is the shade of blue you want. Once the sugar mixture reaches at least 275 degrees F pour it onto a baking sheet that’s been sprayed with nonstick spray and covered in parchment paper. Work quickly when pouring the rock candy onto the baking sheet because it will begin to harden almost immediately. 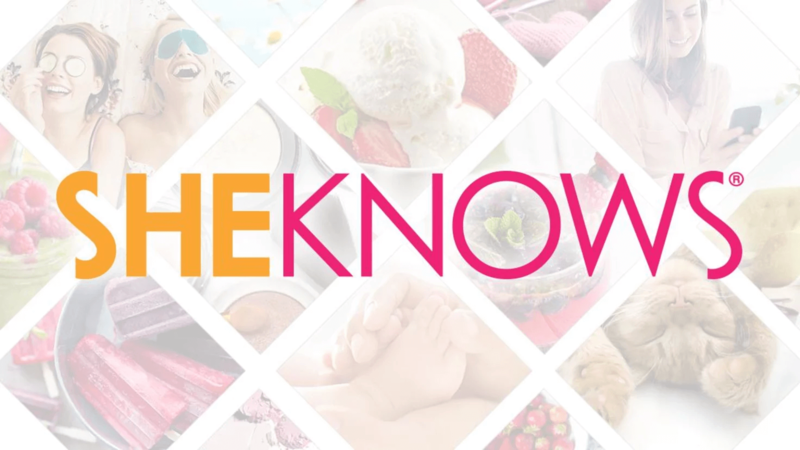 Let the “ice” sit out for a few minutes to allow it to cool, then pop it in the refrigerator. I recommend refrigerating it for at least 15 minutes before breaking it into smaller pieces. Whip the cream until it becomes thick and reaches whipped cream consistency. Then, whip the cream cheese until it’s light and fluffy. Add in the sugar and vanilla and combine. Gently fold the two together. I made a basic white cupcake; you can use any kind you like, even a box mix. If you don’t want to make your own cream cheese frosting, use whatever you have on hand as long as it’s white so you get that frozen effect. Here’s how to assemble the cupcake once you have everything ready. Cut a cone shape into the top of each of the cupcakes and save the top of the cone; it’s like a little hat we’ll be putting back on our cupcake. Watch the video for help! Fill the hole in the cupcake with rock candy or any small blue candy. Place the top of the cone back on the candy and frost away. 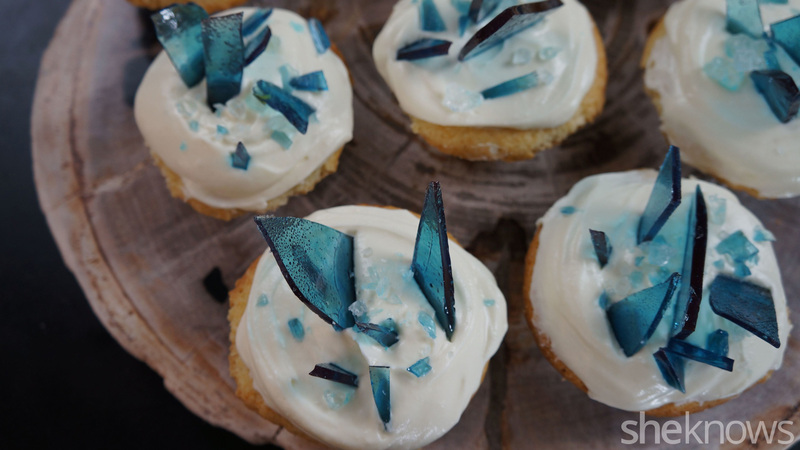 Create large shards of blue “ice” by breaking up the rock candy and stick them into the top of the cupcake.